Fresh goat cheese with pieces of cranberry! 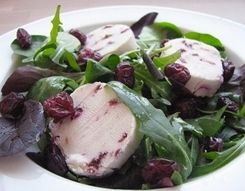 Landana Chèvre CRANBERRY is a wonderfully smooth goat cheese that contains real cranberries! The cranberries give the cheese a unique sweet and fresh taste. 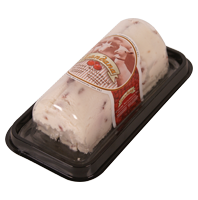 This makes the cheese just right when preparing cold dishes like salads or desserts, but is also superb in hot dishes. Landana Chèvre CRANBERRY is gluten free by nature.